Two combining processes, polymerization and alkylation, are used to join together small hydrogen-deficient molecules, called olefins, recovered from thermal and catalytic cracking, in order to create more desirable gasoline blending stocks. Polymerization is the process of combining two or more unsaturated organic molecules (olefins) to form a single, heavier molecule with the same elements in the same proportion as the original molecule. 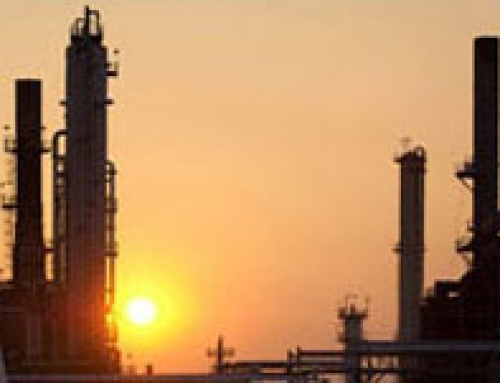 It converts gaseous olefins, such as ethylene, propylene and butylene converted by thermal and fluid cracking units, into heavier, more complex, higher-octane molecules, including naphtha and petrochemical feedstocks. 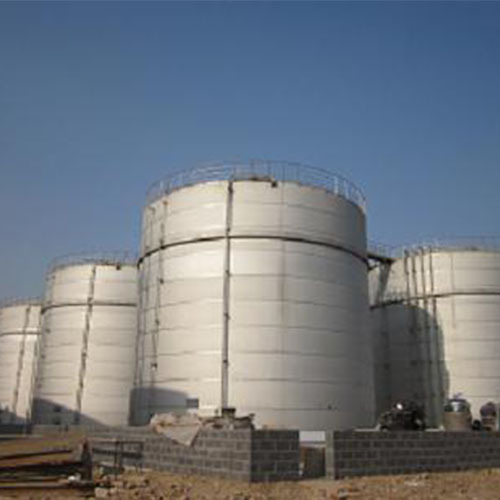 The olefin feedstock is pretreated to remove sulphur compounds and other undesirables, and then passed over a phosphorus catalyst, usually a solid catalyst or liquid phosphoric acid, where an exothermic polymeric reaction occurs. This requires the use of cooling water and the injection of cold feedstock into the reactor to control temperatures at various pressures. Acid in the liquids is removed by caustic wash, the liquids are fractionated, and the acid catalyst is recycled. The vapour is fractionated to remove butanes and neutralized to remove traces of acid. 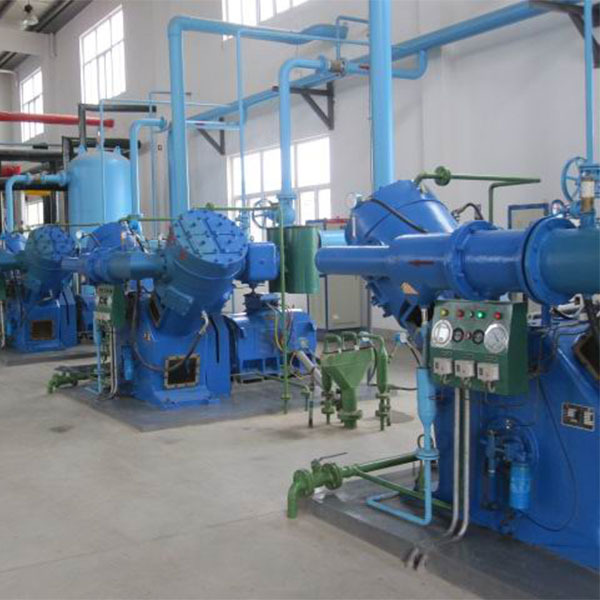 Severe corrosion, leading to equipment failure, will occur should water contact the phosphoric acid, such as during water washing at shutdowns. 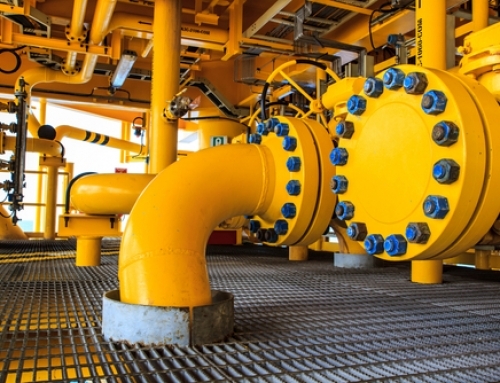 Corrosion may also occur in piping manifolds, reboilers, exchangers and other locations where acid may settle out. There is a potential for exposure to caustic wash (sodium hydroxide), to phosphoric acid used in the process or washed out during turnarounds, and to catalyst dust. The potential for an uncontrolled exothermic reaction exists should loss of cooling water occur. Alkylation combines the molecules of olefins produced from catalytic cracking with those of isoparaffins in order to increase the volume and octane of gasoline blends. Olefins will react with isoparaffins in the presence of a highly active catalyst, usually sulphuric acid or hydrofluoric acid (or aluminium chloride) to create a long-branched-chain paraffinic molecule, called alkylate (iso-octane), with exceptional anti-knock quality. The alkylate is then separated and fractionated. The relatively low reaction temperatures of 10°C to 16°C for sulphuric acid, 27°C to 0°C for hydrofluoric acid (HF) and 0°C for aluminium chloride, are controlled and maintained by refrigeration. Sulphuric acid alkylation. In cascade-type sulphuric acid alkylation units, feedstocks, including propylene, butylene, amylene and fresh isobutane, enter the reactor, where they contact the sulphuric acid catalyst. The reactor is divided into zones, with olefins fed through distributors to each zone, and the sulphuric acid and isobutanes flowing over baffles from zone to zone. Reaction heat is removed by evaporation of isobutane. The isobutane gas is removed from the top of the reactor, cooled and recycled, with a portion directed to the depropanizer tower. Residual from the reactor is settled, and the sulphuric acid is removed from the bottom of the vessel and recirculated. Caustic and/or water scrubbers are used to remove small amounts of acid from the process stream, which then goes to a de-isobutanizer tower. The debutanizer isobutane overhead is recycled, and the remaining hydrocarbons are separated in a rerun tower and/or sent to blending. Hydrofluoric acid alkylation. There are two types of hydrofluoric acid alkylation processes: Phillips and UOP. 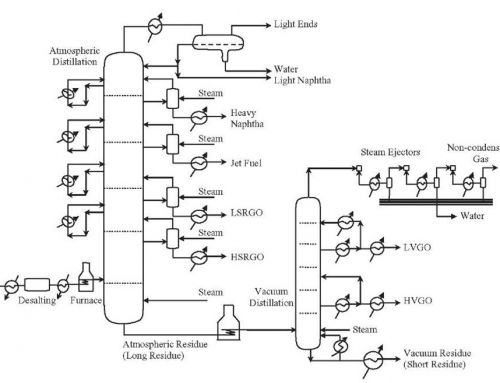 In the Phillips process, olefin and isobutane feedstock is dried and fed to a combination reactor/settler unit. 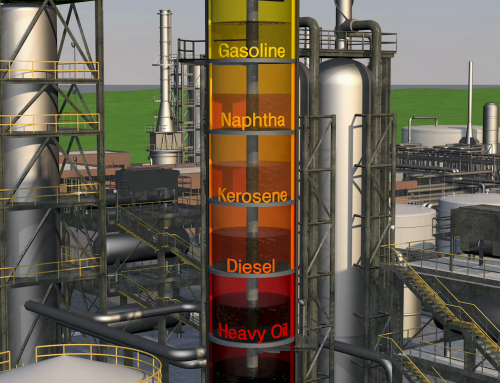 The hydrocarbon from the settling zone is charged to the main fractionator. The main fractionator overhead goes to a depropanizer. Propane, with trace amounts of hydrofluoric acid (HF), goes to an HF stripper, and is then catalytically defluorinated, treated and sent to storage. Isobutane is withdrawn from the main fractionator and recycled to the reactor/settler, and alkylate from the bottom of the main fractionator is sent to a splitter. The UOP process uses two reactors with separate settlers. Half of the dried feedstock is charged to the first reactor, along with recycle and make-up isobutane, and then to its settler, where the acid is recycled and the hydrocarbon charged to the second reactor. The other half of the feedstock goes to the second reactor, with the settler acid being recycled and the hydrocarbons charged to the main fractionator. Subsequent processing is similar to Phillips in that the overhead from the main fractionator goes to a depropanizer, isobutane is recycled and alkylate is sent to a splitter.